Love tomatoes? 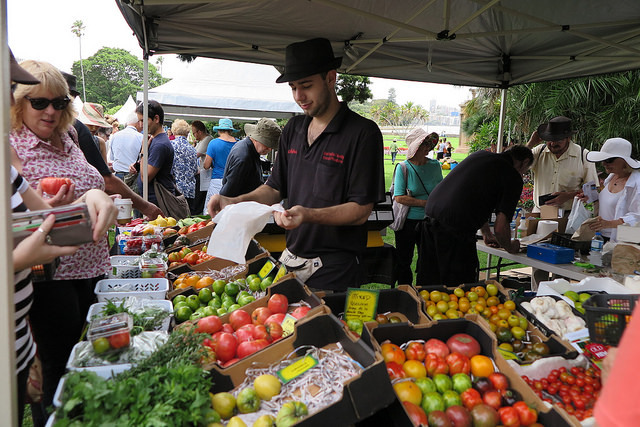 Then mark the Sydney Tomato Festival in your diary for this weekend 20-21st February 2016 – to be held at The Royal Botanic Garden Sydney. I didn’t realise Sydney had a Tomato Festival, so I’m disappointed to know I’ve been missing out on the produce stalls, plant sales and cultivation classes. My husband and I could really do with the latter this year as our tomato plants have succumbed to Sydney’s volatile weather – think days of torrential rain followed by sauna-like temperatures – it’s no wonder our plants look like droopy, saggy, shriveled versions of their former selves (a bit like me in this weather too). The festival includes tomato masterclasses, competitions, taste testing, children’s pizza making and Aztec trail (including tomato throwing). There are bush tucker talks by Indigenous guides and a ‘garden to table’ guided walk through the Botanic Garden, which celebrates its 200th anniversary this year. 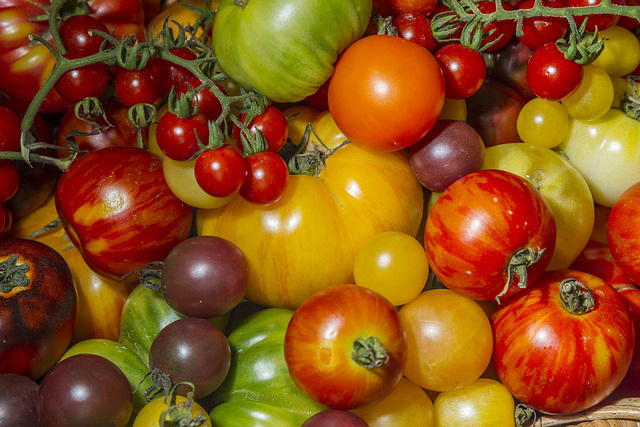 Competitions include best tomato relish/chutney, best passata sauce, best chilli sauce and best homegrown tomato. Unfortunately, I won’t be entering, as there is no category for the ‘best’ weather-ravaged, fungus-felled, bug-infested tomato, though I’d be sure to win if there was. 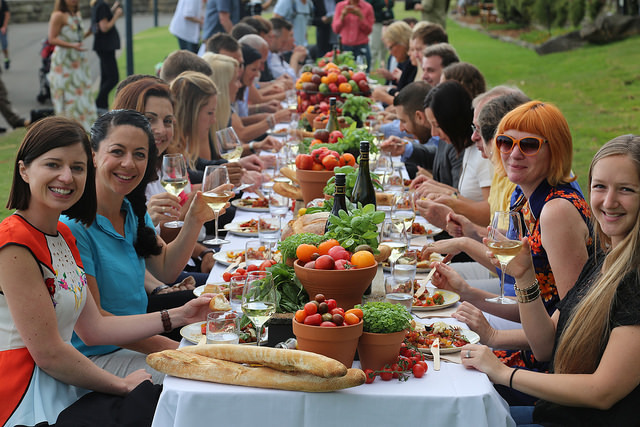 The centerpiece of this year’s festival is the new D’VineRipe Longest Tomato Lunch on Sunday – a 72-metre table set on the Flower Bed Lawn at Farm Cove. Seating 250 guests, the table will overlook the Opera House and Sydney Harbour. What a glorious place to dine while celebrating all things tomato! At $84 for two people, it’s great value too. Check out the menu here. Bookings close Wednesday 17 Feb unless sold out beforehand. This entry was posted in Australia, Events, festivals, Food & Wine, New South Wales, Sydney, Travel News & Events and tagged D'VineRipe Longest Tomato Lunch, Royal Botanic Garden Sydney, Tomato competitions, Tomato festival, Tomato produce. Bookmark the permalink. Sounds like a fun event, Briar! It certainly does Christine, with activities for the whole family.